The post The Complete Guide to Your First Joomla! Installation from Plesk panel appeared first on Plesk. The post Spot these Pleskians at J and Beyond appeared first on Plesk. The Joomla! Project is pleased to announce the immediate availability of Joomla 3.3.6. This is a maintenance release addressing issues with yesterday’s 3.3.5 release. This release addresses an issue related to the core update component, one regression in the user password reset process, and adds a fallback upgrade mechanism for the update component. 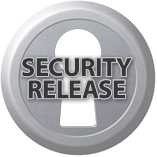 This release is considered a security release since it includes two resolved security issues associated with 3.3.5. 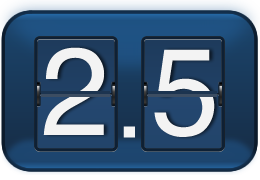 A 3.2.7 release is also available for users who are still using Joomla! 3.2 which addresses the security issues and the upgrade component bug. If you are currently running a Joomla! release on a server with PHP 5.3.10 or later, we encourage you to update immediately to Joomla! 3.3.6 via either the one-click update or the update downloads available at http://www.joomla.org/download.html. Note that in order to update directly to 3.3.6 via the core update component, you must be running 3.2.2 or later due to the raised minimum supported PHP version and the update system not supporting checking the server’s PHP version in older releases. Older 3.x releases will be prompted to update to 3.2.7 before being presented the 3.3.6 update. Because of the issue with the update component, users who are running 3.2.6 or 3.3.5 will be unable to update to the next release using Joomla’s update component. These users will be required to update their Joomla! installation via the Extension Manager. Instructions for updating via the Extension Manager can be found on the Joomla! Documentation Wiki. Users who are running Joomla! 3.3.0 through 3.3.4 and 3.2.5 or earlier will be able to update using the update component. The Joomla! Documentation wiki contains full instructions on how to update your site. The Joomla! Project and the Production Leadership Team are proud to announce the release of Joomla! 3.3.5. This is a security release for the 3.x series of Joomla! and addresses two security issues in addition to several regressions introduced in the 3.3.4 release. A 3.2.6 release is also available for users who are still using Joomla! 3.2 which addresses the security issues. If you are currently running a Joomla! release on a server with PHP 5.3.10 or later, we encourage you to update immediately to Joomla! 3.3.4 via either the one-click update or the update downloads available at http://www.joomla.org/download.html. Note that in order to update directly to 3.3.5 via the core update component, you must be running 3.2.2 or later due to the raised minimum supported PHP version and the update system not supporting checking the server’s PHP version in older releases. Older 3.x releases will be prompted to update to 3.2.6 before being presented the 3.3.5 update. If you are currently running a Joomla! release on a server with PHP 5.3.10 or later, we encourage you to update immediately to Joomla! 3.3.2 via either the one-click update or the update downloads available at http://www.joomla.org/download.html. The Joomla! Project and the Production Leadership Team are proud to announce the release of Joomla! 3.3.1. This is a maintenance release for the 3.x series of the Joomla! CMS. If you are currently running a Joomla! release on a server with PHP 5.3.10 or later, we encourage you to update immediately to Joomla! 3.3.1 via either the one-click update or the update downloads available at http://www.joomla.org/download.html. Note that in order to update directly to 3.3.1 via the core update component, you must be running 3.2.2 or later due to the raised minimum supported PHP version and the update system not supporting checking the server’s PHP version in older releases. Older 3.x releases will be prompted to update to 3.2.4 before being presented the 3.3.1 update. The Joomla! Project and the Production Leadership Team are proud to announce the release of Joomla! 3.2.4 and 3.3, the latest releases of the 3.x release series. If you are currently running Joomla! 3.2 on a server with PHP 5.3.10 or later, we encourage you to update immediately to Joomla! 3.3 via either the one-click update or the update downloads available at http://www.joomla.org/download.html. For sites on servers with a version of PHP less than 5.3.10, 3.2.4 is the release for you. However, please talk to your host about updating to PHP 5.3.10+, which is easy to do. For other versions of the 3.x series, applying the update is recommended as soon as possible. Note that in order to update directly to 3.3 via the core update component, you must be running 3.2.2 or later due to the raised minimum supported PHP version and the update system not supporting checking the server’s PHP version in older releases. Older 3.x releases will be prompted to update to 3.2.4 before being presented the 3.3 update. The Joomla! Project is pleased to announce the availability of the Joomla! 3.3 Release Candidate. Community members are asked to download and install the package in order to provide quality assurance for the forthcoming 3.3 release, which is scheduled for release on or around April 30th, 2014. A big thank you goes out to everyone that contributed to the 3.3 release! Joomla! 3.3 will be our most stable release ever. Right now we’re at about 395 commits since 3.2.3’s release with 44 different people contributing to those commits (not including testers and other non-coding activities). Best of all is that the new features are awesome! The 3.x release series is the latest major release of the Joomla! CMS, with 3.3 the fourth release in this series. Please note that going from 3.2 to 3.3 is a one-click upgrade and is NOT a migration. The same is true is for any subsequent versions in the 3.x series. That being said, please do not upgrade any of your production sites to the release candidate as it is ONLY intended for testing. The Joomla! Project is pleased to announce the availability of Joomla! 3.3 Beta 3. Community members are asked to download and install the package in order to provide quality assurance for the forthcoming 3.3 release, which is scheduled for release on or around April 30th, 2014. A big thank you goes out to everyone that contributed to the 3.3 release! Joomla! 3.3 will be our most stable release ever. Right now we’re at about 380 commits since 3.2.3’s release with 41 different people contributing to those commits (not including testers and other non-coding activities). Best of all is that the new features are awesome! A big thank you goes out to everyone that contributed to the 3.3 release! Joomla! 3.3 will be our most stable release ever. Right now we’re at about 320 commits since 3.2.3’s release with 41 different people contributing to those commits (not including testers and other non-coding activities). Best of all is that the new features are awesome! The Joomla! Project and the Production Leadership Team are proud to announce the release of Joomla! 3.2.3 which is a security release and also resolves a significant number of issues and bugs. If you are currently running Joomla! 3.2, we urge you to apply this update immediately via either the one-click update or the update downloads available at http://www.joomla.org/download.html. For other versions of the 3.x series, applying the update is recommended as soon as possible. The Joomla! Project and Community is excited to announce the release of the Joomla Framework! The Joomla Framework is a major step forward in the evolution of the Joomla! Project. Taking advantage of years of experience in creating the Joomla! CMS and later the Joomla! Platform, the development team has extracted and refactored many of the essential functions necessary to create, manage and deploy a modern PHP web application and compiled them into a library of modular packages that can be easily mixed and matched with other PHP frameworks and packages using Composer for dependency management. First, it makes several packages, inspired by the demanding needs of the Joomla! CMS, available to the larger PHP developer community, paving the way to build new web applications and services. These packages are distributed via Packagist.org for use with Composer and can be combined with packages from other best-of-breed PHP frameworks such as Symfony, Zend, and Laravel. Web Applications built on a server with the Joomla! Framework will have the advantage of creating, managing and authenticating user accounts; retrieving, managing and displaying content retrieved from one or more databases; and taking advantage of many social media integration features. For example, the social media packages for Facebook, Google, LinkedIn, and Twitter are well executed. They have a common API that interacts with each of the services, and offers good coverage of each service’s program interface. Second, it allows a future version of the Joomla! CMS to be built upon this Framework and thereby benefit from the broader base of PHP developers that adopt and can contribute back to the Framework, as well as the dependency management features of Composer. The Framework will bring new rapid development tools to CMS extension developers that will allow them to create and maintain more sustainable and robust extensions. Together these areas of growth combine to increase the development velocity of the Joomla! project and facilitates project collaboration and growth for the Open Source community as a whole. What does this mean for the typical user of the Joomla! CMS for their website? Not much at this moment as the Framework is a toolkit for software designers and developers. Downloading the Framework will do nothing to enhance your current Joomla! website. It is, however, a great promise of things to come for future versions of the Joomla! CMS. A new era of rapid web application development is ahead and the many lightweight, modular and decoupled packages within the Joomla Framework positions the Joomla! Project to be an even more prominent leader in the larger community of Open Source PHP solution developers. For more information about the Joomla! Framework, please visit http://framework.joomla.org. Joomla 3.2 is truly a Something New for Everyone release. These exciting new features are highlighted and explained in a series of short video preview tutorials: Joomla! 3.2 Video Tutorials. The Joomla! Project is pleased to announce the availability of the Joomla! CMS 3.2 Release Candidate. Community members are asked to download and install the package in order to provide quality assurance for Joomla 3.2. Joomla 3.2 is scheduled for release on or around November 6th, 2013. A big thank you goes out to everyone that contributed to Joomla 3.2! Joomla 3.2 will be our largest release ever, in terms of bug fixes and new features. Right now we’re at about 1045 commits since 3.1.5’s release with 50 different people contributing to commits (not including testers and other non-coding activities). And best of all is that the new features are awesome! The Joomla! Project is pleased to announce the availability of Joomla! CMS 3.2 Beta 2. Community members are asked to download and install the package in order to provide quality assurance for Joomla 3.2. Joomla 3.2 is scheduled for release on or around November 6th, 2013. A big thank you goes out to everyone that contributed to Joomla 3.2! Joomla 3.2 will be our largest release ever, in terms of bug fixes and new features. Right now we’re at about 960 commits since 3.1.5’s release with 50 different people contributing to commits (not including testers and other non-coding activities). And best of all is that the new features are awesome! The Joomla! Project is pleased to announce the availability of Joomla! CMS 3.2 Beta1. Community members are asked to download and install the package in order to provide quality assurance for Joomla 3.2. Joomla 3.2 is scheduled for release on or around November 6th, 2013. A big thank you goes out to everyone that contributed to Joomla 3.2! Joomla 3.2 will be our largest release ever, in terms of bug fixes and new features. Right now we’re at about 670 commits since 3.1.5’s release with 45 different people contributing to commits (not including testers and other non-coding activities). And best of all is that the new features are awesome! Versions: 2.5.13 and earlier 2.5.x versions. 3.1.4 and earlier 3.x versions. Inadequate filtering leads to the ability to bypass file type upload restrictions. Joomla! version 2.5.13 and earlier 2.5.x versions; and version 3.1.4 and earlier 3.x versions. Upgrade to version 2.5.14 or 3.1.5. 43 queries. 7.75 mb Memory usage. 0.436 seconds.